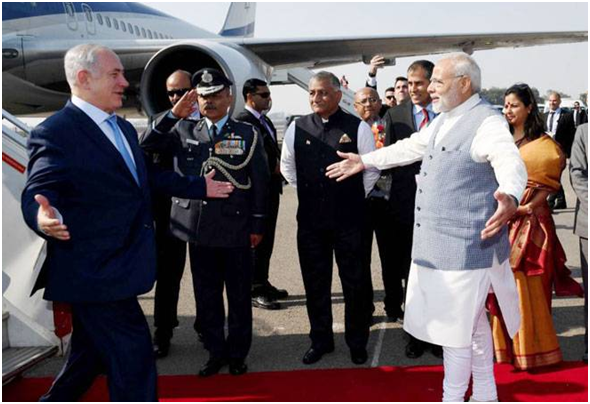 Newsfeeds are abuzz with updates on the upcoming trip of Benjamin Netanyahu to India. The visit, initially scheduled for February 11, is now reportedly postponed. Prior to this, Israel’s Security Adviser Meir Ben-Shabbat visited India and met with Prime Minister Narendra Modi, National Security Adviser Ajit Doval and chiefs of the security forces. The timing of this proposed trip is hard to ignore – with upcoming elections in both India and Israel, Netanyahu’s trip has security deals on the agenda. The last almost five years of the Narendra Modi led BJP government have been those of devastating anti-people policies, ghastly communalisation of everyday life, mob violence and persecution of dissenting voices. As ordinary people see through the smokescreen, and grassroots mobilisations to oust this government grow, the BJP government is set to further hatred, divisions and propaganda in the coming months. Within this agenda, a visit by Benjamin Netanyahu is ideal. The unprecedented proximity between India and Israel in the last five years are based on a clear alliance of Hindutva and Zionism. Sangh Parivar aspires to emulate Israel in its occupation, apartheid and colonisation of Palestine. Just in this last year, we have seen over 200 protesters being killed by Israeli forces in the Great Return March. Israel’s Knesset passed the Nation-State Law last year, making all non-Jewish citizens of Israel second-class. 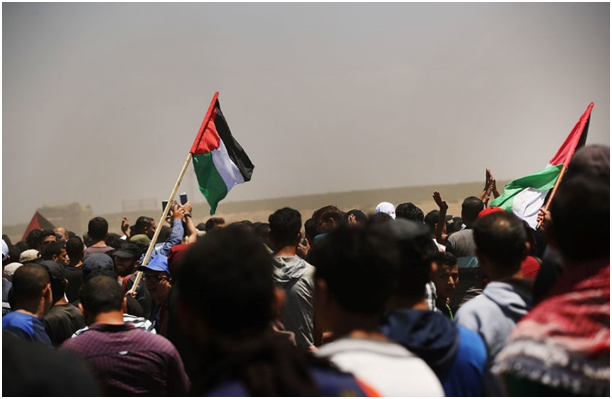 Israel’s egregious impunity is sustained not only by the support of United States and European Union, but increasingly by authoritarian regimes of the Global South. India alone has bought almost 50% of weapons exported by Israel in the last four years. In 2017, India bought weapons to the tune of Rs 5000 crore from Israel. That is a singularly large direct support to Israel’s arms industry- the very system that ‘field-tests’ its weapons on Palestinians. Despite India’s competent and high-class capacities to indigenously produce missiles, India has been signing a growing number of missile deals with Israel — an issue that has been flagged by the DRDO from the days of Barak scam until now with the on-again-off-again Spike missile deal. It would seem that compromising public sector defence production for foreign capital comes quite naturally to the BJP government. Equally alarming is the heavy stock of drones and surveillance systems bought from Israel. The deployment of these systems in Kashmir and along the Line of Control has long been pointed out. India now also has a police training co-operation with Israel, within which IPS trainees are sent over to learn racial profiling at Israeli checkpoints, at the Tel Aviv airport and more. Israel’s export of weapons goes along with its export of the methodology and technology of repression.